The Ugg brand has really stepped their game up this year with new styles, but even their older styles are super cute. 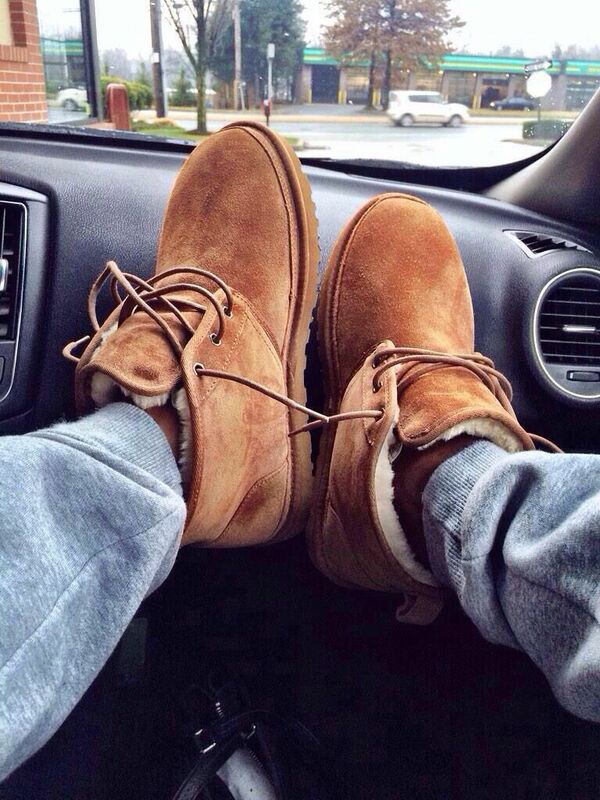 Okay, not all Uggs are cute. but they are all comfortable, which makes them worth it. Uggs have had some controversy due to the materials that they use, but that is one thing that makes them so soft and warm. The entire inside of the boots are lined with fur to ensure your foot stays warm at all times. Uggs can be dressed up or down making them very versatile. During the winter they are easy to slip on and off when going between the outside and inside. This brand also makes good quality shoes, so you do not have to worry about them falling apart a year or two after getting them. One issue with these boots are that they must be sprayed with waterproof spray in order for them to not get ruined in the snow and ice. Once they are sprayed though, they are good to go. I would highly recommend having a pair of these especially in college when you have to walk to classes during the cold winter months. These super cute boots are PERFECT for a cold winter day. They are waterproof, so you never have to worry about your socks getting all soggy and gross. There are many different companies that sell these boots, but my favorite ones are the Sperry duck boots. Most of the Sperry duck boots do not tie, they just have the end of the laces curled. This makes it very easy to get these on and off. This type of shoe looks very good with a wool sock showing a little at the top. Having this thicker sock on makes the shoes even warmer, which is nice when trekking through the snow and slush during the winter. If you do not have a good pair of socks on in the snow, they can be a tad chilly, but nothing too bad. These boots are also typically short, so it is not a good idea to wear them when the snow is over your ankles. Overall, I suggest getting a pair of duck boots if you want something cute and warm for months ahead. These boots are very stylish. They come in different styles that can be dressed up or down and worn with jeans or leggings, making them perfect for any outfit. Timbs come in multiple different colors and are very durable. I was surprised when this brand came out with wedges and heels that are actually cute. I do not own any of these shoes, but have heard nothing but good things about them. They can also we worn with a thicker sock to keep your toes warm, but just a regular sock will do too. Timberlands have recently become very popular and I imagine they will stay fairly popular for years. They are very stylish and anyone can make them work. They are good for the winter because of the waterproof and durable material they are made out of. Sorel boots are more of your typical "winter" boot, but is a must for style. They come in many different styles, which make it hard to pick just one to get. These boots last for a very long time and go with almost any outfit. The taller boots are ideal for areas where a lot of snowfall is expected, but the shorter ones are just as useful when trekking through snow that isn't pilled high. Sorel is a very dependable brand that has a good reputation. The fur that lines most of Sorel boots keeps your feet very warm when outside in the cold. Most of these boots are waterproof, making them able to be worn in all weather types. I recommend these boots because of all they have to offer. They are very practical when living in an area that experiences snowfall at any time. You never have to worry about them getting ruined since they are meant to go through snow and ice. The sole of these shoes are also very comfortable, which is good when you have to be outside during the winter months. For anyone that is looking for a cute "winter" shoe that will keep your feet warm and not get ruined by the snow and ice should go out and buy a pair of Sorel boots. These boots are amazing. Hunter boots are hands down the best rain boots I have ever owned. These boots can be worn in the rain, snow, slush, mud and anything else. They are easy to clean off and are very durable. They are a bit pricey, but SO worth it. They come in multiple different colors and styles making the choice of what pair to get very difficult. I would recommend getting the tall ones if you are planning to wear them during the winter because it makes it easier to walk through piles of snow if you need to. The short ones are great too, but just allow snow in more easily. The Hunter brand also sells socks that go in the boot and fold over the edge. These socks are very warm. I would suggest getting the socks for the winter months, because it really helps to keep your feet toasty. Adding the sock can change the entire look of your boot, which is also really fun. The socks come in a lot of different colors and designs. If you do not want to spend the money on the boots, the socks are cheaper and can be worn with any brand of rain boots. I am a sophomore at SAU and run for the women's track and field team! I am majoring in Psychology and plan on continuing my education to become an Occupational Therapist. I love having fun with friend and family, and am obsessed with my dog!